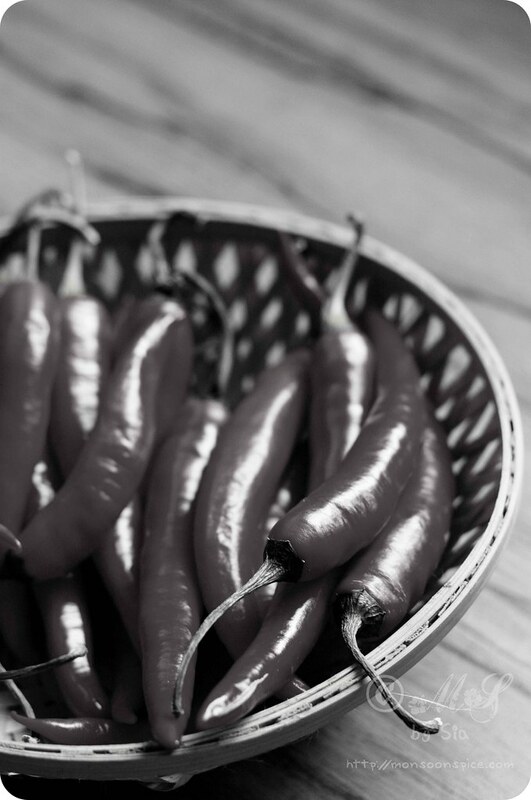 Monsoon Spice | Unveil the Magic of Spices...: Black & White Wednesday - Oh, It is HOT! Black & White Wednesday - Oh, It is HOT! Without these beauties, I am lost! Yes, I am a chilli lover. What about you? My entry for dear Susan’s Black and White Wednesday, where we paint our blogs with monochrome food related photos every week. Isn’t it such a lovely and unique food blog event?! Am chilli lover too..looks gorgeous..too bad I couldn't post anything today..
Nice blog.. Found you through Susan's B-W posts. I love chilies.. The food wont taste good without them! Even I luv chillies,..:) perfect shot,..